Thursday is (emissions) Taskforce day! Australian energy companies would be handed free long-term permits to pollute as part of a national system of carbon emissions trading sheduled to start in 2010. The proposal is contained in the report of Prime Ministerial Task Group on Emissions Trading, due to be handed to the Prime Minister this afternoon. The 200-page document, sent from the printers to the Task Group yesterday, is said to be easy to read and to look different to a typical government report. For instance while it says it will be necessary for the government to adopt a long-term target for the level at which Australia’s annual greenhouse gas emissions should be stablised it is thought not to specify that target, saying instead that further modelling is required. Under the proposed system the energy companies that at present emit greenhouse gasses would be given long-term permits to continue much of those emissions. The permits would have a mix of expiry dates, some lasting for decades. In addition energy companies would be able to buy top-up annual permits without limit. The price at which the government sold the extra annual permits would be adjusted every few years and would put a ceiling on the price for which permits traded on a permit exchange. Importantly the government would adopt no specific target date for achiveing its greenhouse gas stablisation target, allowing it the flexibility to achieve the target early or late depending on the state of knowledge at the time. The Prime Minister is expected to release the report within days and commission a group of officials to turn its ideas into policy. The officials group is expected to report within months, ahead of the election. Mr Howard set up the Task Group in December with the aim of advising on the nature and design of a workable global emissions trading system in which Australia could take part. Instead the group is believed to have recommended that Australia introduce a stand-alone trading system over which it would have sole control. The system will replace those introduced by state governments and will not require international trading or the ratification of the Kyoto Protocol. The industry-heavy Task Group included executives or board members from the mining giants Xstrata and BHP Billiton, as well as Qantas and the National Australia Bank. It was chaired by the head of the Prime Minister’s department Dr Peter Shergold and included on it the head of the Tresury Dr ken Henry and the heads of the departments of Environment, Industry, and Foreign Affairs. The bulk of the corporate submissions to the Task Group supported the concept of an emissions trading scheme, some arguing that there would be new investment in electricity generation until one was introduced. “Without a clear greenhouse gas emission policy framework there is a risk that investment in baseload capacity may be deterred,” it said. The bulk of the corporate submissions to the Task Group supported the concept of an emissions trading scheme, some arguing that there would be no new investment in electricity generation until one was introduced. BHP Billiton told the Task Group that it already assessed how each of its new investments could withstand a high, medium, and low price for carbon emissions on the assumption that a permit system would be introduced. The Labor party last night released a 5-point checklist for an emissions trading system. It said it should be internationally consistent, effective, economically responsible, fair and should start by 2010. The Howard Government is now planning to have an army of inspectors to monitor its so-called fairness test to make sure you are not being duded of pay and conditions. This is kind of becoming farcical now isn’t it? They tried to back peddle on this Work Choices disaster. 600 new bureaucrats at a cost of an extra $370 million over four years which kind of highlights the stupidity of what they have done. Once we just had the Industrial Relations Commission and the state bodies, independent outfits which heard wage cases and set standards, you could take them a dispute. Now under John Howard, we have a bureaucratic spider web. The Workplace Advisory Service, the Workplace Authority, previously known as the Office of the Employment Advocate, the Workplace Ombudsman, previously known as the Office of Workplace Services, the Fair Pay Commission secretariat and there is a whole bunch of others as well. Must have cost them a fortune change the stationary let alone the advertising. But could you imagine trying to find your way through that lot, whether you are a worker or an employer? Just imagine if you are in small business, honestly trying to do the right thing, who do you go to? The Workplace Advisory Service? The Workplace Authority, previously known as the Office of the Employment Advocate? What do you do? Driven by knee jerk ideology this government has made a total hash of industrial relations. All they needed to do really was take the old unfair dismissal laws work better for small business, that was essential, had to be done. Instead they threw the baby out with the bathwater. Anyway, it all goes before Parliament this week. Don’t break out the CO2-free champagne. On Sunday the Prime Minister is expected to give environmentalists (and economists) what they have long wished for - a system of trading in permits to pollute. Advertising agencies have already scripted the campaign that is to follow. The Prime Minister’s announcement will confirm what has been becoming apparent bit-by-bit for months. That John Howard is no longer insisting that we wait for the rest of the world before setting up our own carbon trading system and he is no longer insisting that we wait for further evidence that climate change is serious. The Prime Minister is a late convert, but apparently a real one. So why shouldn’t environmentalists and the 75 professors of economics who have written him an open letter break out the bubbly?.. Because, as satisfying as winning an argument is, what is far more important are the details of the system that results. Think about a road traffic congestion charge - another idea beloved of both environmentalists and economists. These days any private car that wants to come into the city of London during the day has to pay $20 for the privilege or stay away. Londoners regard it as a huge success. Travel times have halved, traffic in the city is down 25 per cent, and the money raised has been used to put on 300 new busses. But the same idea could have been introduced differently. London, or Sydney, could have accepted the theory but instead set the charge low – perhaps at just a few cents a day - and also exempted from the charge every vehicle that had grown used to traveling into the city. Surely that couldn’t happen to emissions trading? It is exactly what is being proposed. Polluter after polluter that has made a submission to the Prime Minister’s taskforce on emissions trading has said that while it supports the idea of a trading scheme, it wants the price of the permit set low and it wants to be given enough permits - gratis - to cover most of the pollution it already does. As Australia’s most venerable economic modeler and one of the signatories to the economist’s letter Professor Peter Dixon of Monash University told me: “It’s the same as putting a tax on carbon pollution and then instead of doing something useful with the proceeds - like cutting another tax - giving it to the shareholders of the polluting companies”. The best way to distribute permits is to auction them. The firms that need them will pay what they are worth and pass on the costs to consumers in higher electricity prices. The government can use the money it raises from each year’s auction to cut income tax, to cut company tax, or to support the development of low-carbon technologies. A word of warning: don’t expect the government to go for a system where all of the permits are auctioned. That’s politically unrealistic. As the submissions say, the existing polluters want “compensation”. What will be important in the Prime Minister’s announcement on Sunday will be the mix of auctioning and handouts in what he proposes. The greater the proportion of permits that he hands out and the smaller the proportion that he auctions, the less serious he will be about cutting emissions and the keener he will be to buy off polluters. Another measure that will indicate how serious the Prime Minister really is about cutting emissions will be the price at which he suggests the permits will trade. However they are initially allocated, the price at which they eventually change hands will be decided by the number on offer each year. If there are very few on offer (just as in the market for bananas last year) the price will skyrocket. If there are many (as there were when Europe set up its carbon trading scheme) the price will collapse. The feeling of people who have spoken with the Prime Minister’s taskforce is that it is looking at a fairly low carbon price to start with – around $10 per tonne emitted, which won’t be anything like enough to cut emissions from electricity generators by the 80 per cent needed by the middle of the century. The Prime Minister and his taskforce might argue that a low initial price is needed to get business used to the system (just as London’s planners might have argued that a low initial price was needed to get car-users used to the idea of a traffic congestion charge). But economic modeling suggests that the lower the initial carbon price, the higher the carbon price will need to later climb nearer the middle of the century and the higher will be the average electricity price in the 40 years ahead. If the Prime Minister talks about a low initial carbon price in his speech on Sunday it is a fair bet that he isn’t serious about cutting emissions – that he regards climate change as a mere “irritant”, as he put it to his MPs last week. There are two other tests. One is whether or not the Prime Minister extends or abolishes mandatory renewable energy targets. Sir Nicholas Stern, the economist who ran the last year’s British inquiry into climate change makes the point that what is at stake is far too important to leave to the economists favourite plaything – trading. Targets requiring electricity wholesalers to source their energy from renewable sources are needed as well. Without mandatory renewable targets the Prime Minister won’t be serious, and he won’t be serious without Kyoto either. All sorts of reasonable arguments can be mounted as to why the Kyoto agreement isn’t perfect, or is merely symbolic. But that is no longer the point. It is set to expire in 2012. If Australia continues not to sign, it may miss out on a seat at the table that will design the agreement that comes next. No Prime Minister serious about climate change would want that to happen. The $585,000 a day advertising campaign that is wrong. No Australian Workplace Agreements have been tested against the government’s new fairness test, despite an assurance from the Prime Minister that all agreements lodged over the last three weeks would be. In announcing the new heavily-advertised workplace reforms on May 4 Mr Howard said that all AWAs lodged after midnight on Sunday May 7 would face “a fairness test” to be administered by the Australian Workplace Authority. Last week’s Workplace advertising campaign repeated the assurance claiming that the Workplace Authority would “check agreements against a Fairness Test to make sure you get a fair deal”. Appearing before a Senate estimates committee yesterday the head of the Authority Peter McIlwain, said 20,866 AWAs had been lodged with his office since May 7, when the fairness test was to apply. Asked whether he had been directed by the Workplace Department or the Minister or the Prime Minister or the Minister’s office to conduct fairness testing from May 7 he replied: “No. The fairness test cannot be conducted until the legislation has been passed”. The legislation was introduced into parliament late yesterday with the intention that it be made retrospective to May 7. Mr McIlwain said in the meantime the Authority had installed an “intrusive popup” on its website that compelled a visitor to view and read and click to remove a fact sheet about the government’s proposed fairness test. As well it had begun offering to provide employers and employees with “pre-lodgment advice” about whether an agreement was likely to pass the proposed test. It has yet to issue the advice. “However, this is categorically not the fairness test as the fairness test has not yet been passed by the Australian parliament,” Mr McIlwain said. In introducing the government’s Workplace Relations Amendment Stronger Safety Net bill yesterday the Minister Mr Hockey said its protections would not apply to workers who signed new AWAs between the introduction of WorkChoices on March 27 last year and the introduction of the fairness test. "We can only go forward," he told reporters. Asked if it was tough luck for those who missed out, Mr Hockey said: "That's why we have introduced the fairness test". The fairness test is essentially a reintroduction of the previous No Disadvantage test scrapped by WorkChoices that ensured that no agreement could cut a worker’s pay and conditions beneath that of the award. In its new guise it will apply only to workers earning a base salary of less than $75,000, some 90 per cent of employees. "The fairness test will guarantee employees fair compensation in lieu of conditions such as penalty rates and overtime and shift loadings. With this bill, workers must be paid more, not less," Mr Hockey said in introducing the bill. The Minister said that a meal provided by an employer to an employee who is regularly required to work overtime would not constitute adequate compensation for the loss of penalty rates. “This means that, contrary to misleading claims that have been made, a slice of pizza will not constitute non-monetary compensation,” he said. Sunday dollars+sense: Could dieting hold the secret of financial success? A few weeks back I mentioned that it doesn’t help much to be bright if you want to become rich. Smart people do earn more than other people, but they are not particularly good at saving what they earn. In fact above a certain level of intelligence, the brighter you are the worse you will be with money. Economist Jay Zagorsky from Ohio State University, who did the research, hasn’t stopped there. He has gone back to the same survey that examined lives of 10,000 US post baby boomers and attempted to find out what really did make the rich ones rich. Again, it wasn’t income (which is related to intelligence). What you save is much more important than what you earn. First smoking. Don’t do it if you want to end up with money. Zagorsky finds that on average non-smokers accumulate 50 per cent more wealth than light smokers and more than twice as much as heavy smokers. You would be right in thinking that this is because non-smokers save the mammoth amount that the smokers spend on cigarettes. This is an important finding. Spending on cigarettes appears to be different to spending on other things. It comes at the expense of saving, rather than other spending. Now weight. The greater your body mass index, the lower your wealth - especially if you are a woman. BMI scores of 18.5 to 25 are considered normal. BMIs above 30 indicate obesity. Amazingly Zagorsky finds that for each one unit that a young person's BMI increases their eventual wealth slides 8 per cent. The really good news is that the effect appears to be reversible. People who lose weight gain wealth. But you can’t just lose a little bit. Zagorsky says the change needs to be big – from overweight or obese to normal. There are all sorts of theories about why smoking and weight should be related to wealth. One is that people who smoke and are overweight don’t care as much about the future and so don’t see as much need to save. But I think it is to do with control. If you are able to exert the massive amount of control needed to eat less, exercise more on these cold Canberra mornings or give up smoking, you are able to do almost anything. Even save. Saturday Forum: At last - the half hour tax return! The most important tax change announced in this year’s budget wasn’t the cut. We knew that was coming and by now we know the ritual. It was an unexpected (and relatively cheap) gift to the nation for which the Howard/Costello government will be thanked decades after this year’s few hundred dollars in tax cuts are long forgotten. “Suppose that the Australian government decided that once a year, it would ask everyone to fill out a set of forms setting out their status. University students would be required to write down where they went to university, which courses they took, and who taught those courses. Anyone who had used medical services would have to tell the government which doctor they went to, and why. Anyone working for the government would have to fill out a form stating what job they did, and how much they earned. Veterans would have to tell the government what war they fought in, and for how many years. For the average person, the whole process would take eight hours, or a full working day." His article in the latest edition of the ANU magazine Agenda hugely understates the effort required. The widely quoted estimate of 8.5 hours per taxpayer per year is now more than a decade old. It was obtained by surveying taxpayers in 1995 at a time when filling in the Tax Pack was comparatively simple. Back then before the Howard government the Tax Pack didn’t ask about private health insurance or the earnings of the person you were married to, among many other things. It is a figure arrived at without attempting to cost frustration. But so anxiety provoking is the mere thought of having to fill out the tax form that an astonishing 70 per cent of Australians hire an agent to do it for us – the highest proportion in the world. If we were freed from the burden we might appreciate it even more than a tax cut. The Treasurer himself recognised this early. Just two years after taking office in the lead-up to the new tax system he held out the prospect of an Australia free of income tax returns. He told the Business Council of Australia that if Australia "had a strong pay-as-you-earn tax system with a strong interest-withholding tax system, we could kick most Australians out of the necessity to file income tax returns". Then he moved the idea to the backburner. The Tax Office had tested it with focus groups and found that people were worried that without the tax Pack they would not receive a tax refund. A Tax Office report concluded that: "For most taxpayers, refunds are what the personal tax system is all about." And that’s where things stood publicly until this year’s budget. Behind the scenes the Tax Office didn’t given up. Greg Dark, in charge of the co-called Change Program in the Tax Office noticed that whenever he spoke to tax payers and tax agents about the sort of change they would like to see from the Tax Office they talked about the anguish of filling in the Pack, and its computer equivalent e-Tax. Surely it must be possible for the Tax Office to fill in most of the information itself? In earlier years, even in 1998 when the Treasurer Peter Costello first raised the prospect of an automatic tax return, it wouldn’t have been that easy. But advances in the ability of computers to talk to each other were making it easier all the time. So quietly Greg Dark’s team began to fill in bits of the e-Tax computer tax return on taxpayer’s behalf. Last year - with no fanfare - Centrelink data, and the interest payments made by a handful of banks were added to the forms that were presented to e-Tax payers on their screens. This year – again with no special advertising budget and no extra publicity - all of the major banks and about 20 other financial institutions will put their interest payments up on the e-Tax screens. As well one of the big commercial payroll providers will put up on the screens the information from 300,000 payments summaries (formerly known as group certificates), and a very small group of Australians will be able to access their Medicare details to automatically claim for excess expenses. Also added will be the dividend information from the largest Australian share registries covering 90 per cent of Australian shares. It is being kept relatively quiet because there is no guarantee that all of the information will be there for every taxpayer, and because it is a work in progress, something of a dress rehearsal. The metaphorical opening night, in July 2008 will be grander. Greg Dark expects to have pre-filled in on most e-Tax forms the payment summaries from all employers except those that are still using paper, interest information form every bank, dividend information from every share registry, and information from Medicare on our membership of private health funds. Asked if there will be more down the track, Greg Dark says he is already planning it. He wants to use information from land-title registries to remind people when they have sold a property and might be liable for capital gains tax. PAYE taxpayers with straightforward circumstances using e-Tax should find every single piece of information they need already on their e-Tax screen. The Assistant Treasurer Peter Dutton says when the system goes live mid-next year completing e-Tax should take less than one hour. And much of that time will involve logging on. The system will ask for your name, date of birth, tax file number, and as a security measure, the number of your previous tax assessment. Even work-related deductions will become relatively straightforward. Greg Dark says from 2008 e-Tax will look up what you claimed last year and fill it in again. Tax agents might perhaps have reason to be wary. But Greg Dark says he has spoken to them extensively and has hardly any complaints. They will have access to the software as well. The Minister Peter Dutton says he will still be using his tax agent, but expects the process to be quicker. He won’t need to bring in as many copies of documents. If the prospect of the Tax Office and your tax agent having access to your medical and other records concerns you, Greg Dark says he understands those concerns. He still hasn’t worked through whether to allow tax agents access to their clients Medicare records. He says the Medicare data won’t actually be in the hands of the tax office. “When you use e-Tax your machine will talk to the Medicare machine rather than a tax office machine which has the Medicare information on it,” he says. But most of the data will be in the hands of the Tax Office, just as it is at the moment. The difference will be that from mid-next year users of e-Tax will have laid before them what the Tax Office already knows. “It is a delicate balancing act, saying to someone would you like to see all the information we have collected on your behalf. It’s no secret that we have this information. What we will be doing is being upfront and saying, ‘this is what we know, here’s your opportunity to correct it’. Being caught out after the event is much less palatable than seeing it what we know when you first log on and saying – gee I’d forgotten about that account, that’s great”. The Tax Office expects to spend $20 million on the program in the lead up to the system going live mid-next year. In the last two year’s it has spent $10 million. It’s shaping up to be the best value-for-money tax announcement Peter Costello ever made. How else can we burn taxpayer's dollars? Let's see... how about $23 million promoting our 'middle course' on climate change? Labor says the Prime Minister has serious questions to answer after denying in parliament this week that he or his office or department had approved a government-funded advertising blitz dealing with climate change. On Friday the Sydney Morning Herald revealed details of the brief issued to advertising agencies for a $23 million campaign to sell the government’s “leadership role” and “balanced voice” on global warming. The brief asks the agencies to “position the Government as the primary balanced voice on climate change”, showing it as taking a middle path between global warming “skeptics” and “doomsayers”. The brief says the campaign will kick off on June 18, two weeks after Mr Howard delivers a keynote address on climate change to the Liberal Party’s 2007 Federal Council at the Westin Hotel in Sydney. The brief names Richard Davies, from the Office of Prime Minister and Cabinet, as one of those involved in its planning. On Wednesday in parliament the Prime Minister was asked to confirm whether the government was planning to mail to every Australian household a taxpayer funded, full colour brochure on climate change with a personal covering letter from himself. He replied that no such decision has been made by him or, to his knowledge, by the government. Mr Howard added later that he had been “very careful” in the answer he gave. The Prime Minister is due to receive the report of his high-level taskforce on emissions trading on Thursday, three days before his address to the Liberal Party Federal Council. Addressing a business luncheon in Bathurst yesterday he said it had been put together by senior public servants including the head of his department, the head of Treasury, and the head of Foreign Affairs and also representatives of Australia’s major resource companies. “This is the sensible way to deal with climate change - to get a cooperative piece of advice from your experts and also from industries that are going to be affected, and then plan in a measured sensible way into the future,” Mr Howard said. A Senate estimates committee heard this week that the government had spent a total of $111 million on advertising in the first nine months of this financial year, a figure that did not include so-called “non-campaign advertising”. Stop this multi-million dollar propaganda barrage , now! "Taxpayers will see through it. They don't want their money wasted on glossy advertising designed to make the prime minister feel good. It is time a brake was put on this fraud. There is clearly a difference between necessary government information and blatant government electoral propaganda. "In any other business, the shareholders would revolt and throw out the management which wasted their money. The problem for the government is not communication. The problem is that it is tired, it has broken too many promises, it has hurt too many people. "This propaganda blitz will make the electorate feel even more angry." He might just be right, this time. It was John Howard, September 5, 1995, speaking about the last minute desperate behaviour of his predecessor Paul Keating six months before the voters rebelled and kicked him out, making Howard Prime Minister. The OECD says the tax cuts in the budget may force our Reserve Bank to push up interest rates. Gosh gee, who would have thought it? The world’s leading economic research organisation says Australia’s Reserve Bank may have to tighten interest rates to stem inflation flowing from the tight jobs market. In its half-yearly review of the world economy released overnight in Paris the Organisation for Economic Co-operation and Development said it expected Australia’s economic growth rate to climb from 2.5 per cent last year to 3.25 per cent in 2007 and 2008, a more conservative forecast than the 3.75 per cent predicted for the next financial year in the federal budget. In an apparent criticism of the tax cuts in the budget it said “a prudent fiscal stance would avoid fuelling demand, with the economy close to full capacity”. It said that a hike in interest rates might be needed to “curb business investment and consumption by households, whose saving ratio could pick-up somewhat in response to the tax cut”. The tax cuts and the extra spending in the budget will push an extra $70 billion into the economy over the next four years at a time when Australia is enjoying the world’s biggest commodity-price-driven economic boom. Since 2001, Australia’s terms-of-trade have climbed 37 per cent. The second biggest rise – experienced by Norway – was 33 per cent, followed by Canada with 13 per cent. The OECD is predicting a tighter labour market than is the Australian Treasury, projecting an unemployment rate close to its present trend of 4.5 per cent throughout 2008. By contrast the budget predicts an unemployment rate of 5.25 per cent by mid next year. The OECD said that although price pressures appeared contained, inflation should eventually respond to the tight labor market and the “marked rebound” in some aspects of domestic demand seen since late 2006. It said that the risks to its forecasts were “evenly balanced”. In a statement welcoming the OECD report overnight the Treasurer Peter Costello made no reference to its observation that the Reserve Bank might have to push up interest rates, preferring to concentrate on what he called its “positive outlook for the Australian economy” and its endorsement of budget measures as “likely to enhance the economy’s supply potential in the longer term”. Australia’s Reserve Bank lifted rates in May, August and November last year, and in March caused a flurry of speculation that it was about to do so again by noting that it was reviewing Australia’s inflation outlook month-by-month. Since then Australia’s inflation and wage growth figures have moderated, creating that impression that the Reserve would not need to move on rates again for the rest of the year. The OECD lifted its forecasts for growth in Europe and Japan in the year ahead and cut them somewhat for the United States. How out government treats our parliament with contempt, throwing out dollars like confetti along the way. The government has spent $1 million on focus groups and market research in order to develop a communications policy to promote its Access Card, the legislation for which it has withdrawn from the Senate. The total contract with Orima Research is valued at $2.3 million. In addition the government has spent $3 million advertising the yet-to-be-legislated card through the agencies George Patterson Y&R and Eardrum and has set aside an extra $2.5 million to spend on advertising in the remaining weeks of this financial year. Next financial year's advertising spend is budgeted at $8.3 million. The advertising is classified as an "information awareness program" rather than an "active campaign". A Senate estimates hearing was told yeterday that 18 departmental staff are working full-time on communications strategy for the card. In March a scathing report by a Senate Committee half of whose members are Liberal Party senators recommended that the government withdraw the legislation and start again. At the time two tenders were underway to build different parts of the Card's information technology system. The Minister Senator Ellison will introduce a replacement bill in June. He has indicated that it will still require the card to display a photograph, signature and personal identity number, despite the Committee's finding that there was no need for such a requirement and that it would lead to the card becoming a defacto Australian identitification card. The Access card is intended to replace the Medicare and other benefits cards. The institution hired by the government's Future Fund to act as the custodian of Australia's budget surpluses performed a similar role for a US fund whose members lost more than $1 billion. The Chicago-based Northern Trust Corporation was the trustee of the Enron staff superannuation scheme. Enron collapsed in 2001. A US district court found that Northern Trust knew or should have known that the firm was in financial distress yet it continued to buy and hold its shares. Northern Trust settled the case with a payment of $US 37.5 million. The chief executive of Australia's Future Fund Paul Costello told a Senate estimates hearing yesterday that the Fund had accepted the firm's word that it had not behaved improperly. It had not made independent inquiries. "We were not concerned that this represented a risk to us in terms of the arrangements that we were seeking to put in place with Northern Trust,'' he said. In Question Time the Treasurer distanced himself from the Fund’s decision to appoint the US firm as its custodian... saying that the Future Fund was an independent statutory corporation not subject to government direction. He said as he understood it, the only Australian firm bidding against Northern Trust for the job of custodian was the National Australia Bank. “One could say that the National Australia Bank has been the subject of its own inquiries, has it not? Were there not currency traders at the National Australia Bank who have been the subject of charges? The bank dealt with those matters, as it should have. Does it have an unblemished record? No,” the Treasurer said. Under questioning at the estimates hearing the Future Fund’s CEO Paul Costello declined to reveal whether Northern Trust had submitted the lowest cost tender. “They provided a very competitive fee and that was one of our selection criteria,” Mr Costello said. The Chairman of the Future Fund, the former Commonwealth Bank chief David Murray declined an invitation to attend the estimates hearing. Asked on ABC radio whether his board had rejected the recommendation of the consultants it had hired to help choose the custodian he did not directly reply. “We won’t step back from our accountability, the decision was ours. The experts that we appointed to help us compiled a lot of information and helped us to understand how to evaluate on a level basis all of the proposals we were given. We accepted the analysis that they put in front of us and made the decision ourselves,” he said. Announced by the Treasurer in September 2004 as a fund that would accumulate budget surpluses to meet future public service superannuation liabilities, the Future Fund has yet to make investments. Its assets comprise cash on deposit with the Reserve Bank and Telstra shares. It will also manage the new higher Education endowment Fund. Labor’s Finance Spokesman Lindsay Tanner said that it was wrong to say that the Treasurer had no power to issue directions to the Future Fund. He had done so and had decided not to do so in this instance. "We are spending $4.1 million advertising the changes to WorkChoices, but we won't tell you exactly what they are." So concerned is the government that we know about the latest changes to its workplace rules that it is spending an unprecedented $585,000 a day to tell us. The figure - $4.1 million in advertising spending over the seven days of this week – does not include the associated market research, public relations or the making of the ads. Asked yesterday whether the $4.1 million blitz was justified, the Workplace Relations Minister Joe Hockey replied: “In a $1 trillion economy? Absolutely”. He said the workplace infoline was receiving an extra 1,000 phone calls a day as a result of the ads. The figure suggests that each call has cost the government $585 to bring about. At a Senate estimates hearing Labor’s John Faulkner asked the Finance Minister Senator Minchin whether the campaign would cost the taxpayer $28,472 an hour, $475 each minute. Mr Hockey said he had a responsibility to tell people about the changes just as “the NSW government has a responsibility to tell people about changes in road rules and urging people not to speed”. But the Minister has not yet changed the workplace law and has not yet introduced his proposed changes into parliament. The changes were unveiled to Coalition backbenchers yesterday and will be introduced on Monday. Last night a spokesman for the Minister was unable to reveal the detail of what was in them. In particular he said he could not reveal whether the $75,000 cut-off for the new fairness test would be a base or complete salary. Under questioning in the estimates committee, an official from the Department of Prime Minister and Cabinet Robert McMahon revealed that a total of $111 million had been spent on government advertising campaigns so far this financial year, a figure that he said did not include $472,000 spent on a weekend of full-page newspaper ads outlining the proposed workplace changes at the start of May. He said those advertisements, headed “A Stronger Safety Net for Working Australians” were “non-campaign advertising”. The department’s website defines non-campaign advertising as “simple, no-frills advertising that generally appears only once or twice and contains factual statements not intended to promote or advise on policies or programs of the government”. It says newspaper non-campaign advertising is generally limited to staff recruitment and public notices and usually appears as a classified or small display advertisement with no illustration other than a logo or basic line drawing. Mr McMahon said his team within the Prime Minister’s Department prepared had the advertisements within hours of the Prime Minister announcing his proposed changes to workplace laws on a Friday. They appeared in every major newspaper the next day. The advertisements were the first to include no mention of the government’s previous name for its workplace laws: WorkChoices. Tuesday column: The Future Fund is a con. The Future Fund is a con. A grown-up fairy-story. An exercise in re-labeling that would make the spin-doctors who thought up the term “WorkChoices” proud. Just as the geniuses behind the name WorkChoices also invented the term “protected by law” to misleadingly imply that no further protection was needed (the government has now ditched the term WorkChoices, ditched the tag “protected by law” and is now advertising that further protection) so too the marketing professionals behind the term Future Fund invented a new term to describe the members of the board that runs it. They are called “guardians”, rather than “trustees”. To hear the Treasurer Peter Costello talk, you would think that the Future Fund was among his greatest creations. He set it up “so that future generations won’t have to meet the liabilities of this generation”. Any attempt to direct that the money be used for broadband or another useful purpose would be “robbing from the future”. Under no circumstances would he “let any little bear get his hands in the honey pot,” and so on. The Future Fund’s cover story is that it was set up to help the government meet the costs of its “biggest unfunded liability” – the superannuation payments it owes to its public servants. As the Treasurer put it in his post-budget address: “Public servants were guaranteed a proportion of their final salary for life and no money was ever set aside to fund that”. But money was put aside to meet the payments each year. The government closed the unfunded Commonwealth Superannuation Scheme to new members in 1990. And it closed its replacement, the Public Sector Superannuation Scheme to new members in 2005. The payouts are set to peak in 2027 at levels not too much higher than they are today. Anyone unfamiliar with the Treasurer’s rhetoric looking at the chart on page 7-10 of budget papers might be forgiven for thinking there’s no problem. Except for military superannuation. The Treasurer hasn’t closed the military schemes to new members. As a result their payouts are set to grow without limit, by the middle of the century dwarfing those of the CSS and the PSS combined. Why not also close those funds to new members and fix the problem? In this newspaper last week the commentator Brian Toohey surmised that the Treasurer does not want to do that because it “would rob him of the last threadbare excuse he has for dedicating the Future Fund’s accumulated earnings to what should be the trivial task of funding future public sector pensions”. Even without closing the military schemes the Future Fund’s task is looking simple. Post-budget calculations by the ANZ bank suggest that the fund will only need the injection of one more budget surplus to achieve its goal. The real reason the fund was set up was to hide the loot the government was set to accumulate from running successive budget surpluses. But not to completely hide. If the Treasurer wanted to do that he could adopted the cheaper route of paying each surplus directly to the trustees of the government superannuation funds, cutting each year’s headline budget surplus to zero, and with it his bragging rights. Instead he will be paying the six guardians of Future Fund a total of $600,000 a year (and they will be paying heaven knows how much more to investment consultants) in order to duplicate the work of the super funds, and keep his surplus bragging rights. An accounting quirk means he can both claim a surplus and “spend” it on the future fund. In earlier years this trickery wasn’t neeeded (“hypothecation” is the word economists use for it). Whenever the budget took in more money than it paid out the Treasurer could use the surplus to pay off debt. But by 2005 when it looked as if the government was about to become debt-free Peter Costello had to think of something else to appear to do with the money. Otherwise as it grew earning interest Australia’s Premiers and Chief Ministers and his own backbenchers would start demanding that it be released to allow them to spend it on schools, hospitals, police, public transport and the like. He might have found it hard to sell them on the truth: that Australia’s Treasury wants to hang on to each year’s surplus during our present extraordinarily good times in order to keep those good times in check and to build up a stash to spend when they end and we slide into recession. 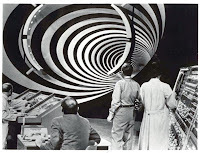 The problem with inventing a plausible if untrue explanation for the need to hang on to each year’s surplus is that when, as is now the case, it becomes no longer as plausible, he has to invent a new explanation – in this case the new Higher Education Endowment Fund. And it makes his claim that Labor will try to rob money from a fund that scarcely needs it unconvincing. Australia does need to hang on to big budget surpluses (in the view of Access Economics, we need to hang on to much bigger surpluses than we are). We are being rocked by an unearned boom in our income unprecedented in modern times. The windfall is best measured by our terms-of-trade; the ratio of the prices we are paid for our exports to the prices we pay for imports. Since 2001 Australia’s has soared 37 per cent, more than any other country’s. The runner up is Norway, whose petroleum-boosted terms-of-trade have soared 33 per cent. Norway has dealt with its problem by setting up the Norwegian Petroleum Fund with the declared aim of investing its surplus to prepare for the day when petroleum runs low. Australia’s leaders are not so straightforward. They prefer to use spin and fairy stories to provide cover while they do the right thing. If you are over 50, you've probably come to a disquieting realisation: You haven't achieved as much as you thought you would (although there is still some time to catch up). By your age Peter Costello had become Australia's longest-serving Treasurer, Kevin Rudd had become the most-popular opposition leader since Whitlam, and Tony Blair had committed troops to Iraq. Footballers do their best work much younger - in their 20s, mathematicians and poets peak at around age 30, chess players in their mid-30s and dictators in their early 40s. Getting the most out of your bank. I mean it. The US National Bureau of Economic Research have just published a study entitled The Age of Reason: Financial Decisions over the Lifecycle. Its finding? Americans keep getting ripped off by their banks until about the age of 53. Examining 75,000 home loan contracts the researchers found that very young and very old borrowers paid an interest rate as much as one complete percent higher than did borrowers in their early 50s. For car loans, the young and the old pay a rate one-quarter of a percent higher. When switching credit cards the trick is to move across your balance to the new card with a low introductory rate and then not use it. That’s because the payments you make go first to paying off the (low interest) transferred balance, and only later to paying off any (high interest) new purchases. The best strategy is to spend with your old card. Americans in their 50s work this out quickly. Younger and older Americans take longer. It s much the same with credit card late fees, over the limit fees and cash advance fees. Careful planning can avoid the lot. Young Americans and very old Americans don’t do it. Americans in their 50s do, and they are the least likely to pay fees. It isn’t because Americans in their mid-50s have more time to work these things out. If that was the case, Americans in their 60's and 70's would do even better, and they do worse. It has to be because the older we get the more wily we get about the way banks try to take our money. When we get too old we probably lose the computational ability to fight them. So enjoy your 50’s. You are the most financially astute you’ll ever be. Newsflash! McGuire's gone, and that's just the start. It's a day for taking responsibility... and it's not yet 10.00am! The Prime Minister's slap-dash water plan. The Prime Minister John Howard received a Department of Finance costing of his $10 billion water plan only hours before he announced it on January 25. The Finance Department began costing the plan only two days earlier, on January 23. Those costings were emailed to the Prime Minister's Department just hours ahead of the Australia Day eve announcement, some hours after plan had been outlined in newspapers published that morning including The Canberra Times. The newspaper sought documents created in the Department of Finance and Administration regarding the costing of the $10 billion plan and any advice about the plan sent to the Department of Prime Minister and Cabinet. The department located 31 documents, the first of which was dated January 23, just two days before plan was unveiled by the Prime Minister in the Great Hall of Parliament House. It was headed “Draft costing spreadsheet for various components”. The second document was an email entitled “Re: Draft costing components” sent on January 25, on the day of the Prime Minister’s announcement. The timeline shows that the Department created no further documents about the plan for more than a week. Four were entitled “Questions regarding draft costing” and six were entitled “Responses to questions” suggesting that the departments were till trying to sort of details of the costings for up to four weeks after the announcement. The Department of Finance refused the newspaper access to each of the documents on the grounds that it was deliberative in character and that its disclosure would be contrary to the public interest. A National Plan for Water Security, Costings” it was attached to the water plan released by the Prime Minister on January 25 and is available on his website. The West Australian understands that it is the document created on January 25 to which it has been denied access. The Department of Finance has previously told a Senate estimates committee that it was only given one page of information to cost. The Department’s Secretary Dr Ian Watt told the committee that he had been asked only to "run an eye lightly” over it. The significance of the information released to the West Australian newspaper is the date of that request. It appears to have been made on January 23, just two days before the Prime Minister’s announcement. The Finance Minister Senator Minchin defended the process to the Senate committee saying that the $10 billion 10 year program cost “1 billion a year, which is less than half a per cent of Commonwealth government expenditure, let’s keep it in perspective”. This week at a post-budget address Dr Henry called for water to be freely traded, allowing it to move from areas in which it had a low value to areas in which it had a high value, something that the Coalition - in particular the National Party - have resisted. The $10 billion initiative unveiled by the Prime Minister instead provided $6 billion in assistance to farmers to line and pipe delivery channels and install more accurate water meters. $3 billion was to be spent buying back water entitlements from farmers along the Murray Darling Basin. None of the money has yet been spent and the legislation has not yet been introduced in part because Victoria has not agreed to hand over to the Commonwealth the powers requested, arguing that the plan has been poorly thought out. The Water Resources Minister Mr Turnbull said yesterday that the most important parts of the legislation had now been worked out. “They are being negotiated in fine detail now, and the second part of the fine detail draft - the draft bill - will be with the states by the end of this week or at the latest early next week,” he said. He attacked the Labor Party for “grubbing around in the past trying to get a cynical political advantage.” But the requests for access to documents have come from the media, not the Labor Party. On Wednesday the Seven Network revealed that it had been denied access to 22 documents used in the creation of the plan, including a diagram entitled “Water Management”. Asked on ABC radio why such a diagram should be kept secret, Mr Turnbull said he wouldn’t speculate, and that while he might have seen the diagram in question he had seen many documents and the project had had input from many people. Officials from the departments of Environment, Finance and Treasury will appear before Senate estimates committees next week and are likely to face further questions about the freedom of information revelations. Ken Henry safe / his department WAS bypassed when the government drew up its water policy. A senior Labor frontbencher has pledged that an incoming Rudd Labor government will not purge the top levels of the Commonwealth public service. The incoming Howard government in 1996 terminated the appointments of six departmental heads and put their replacements on short-term contracts. Speaking at the Press Club yesterday the Shadow Treasurer Wayne Swan said that his leader Kevin Rudd had no intention of doing any thing other than working professionally with the senior public servants already in place. “Anyone who know Kevin will know that he has a lifelong commitment to public service and to professional advice that is fearless. Running into a fierce bureaucrat who is prepared to stand up and argue about good policy is the most important thing you could have in the public service,” he said. “I have the highest regard for Ken Henry, I have never agreed with him on absolutely everything, but some of his recent speeches have been particularly good,” he said. “There is no doubt that policy outcomes would have been far superior had our views been more influential,” he said, adding that the issue would come back to the Treasury later for some quality input, “it will have to”. On Tuesday at a post-budget address in Sydney Dr Henry called for the establishment of a national market in water. “If somebody can see a commercial advantage in the exchange of a product, there should be no impediment to that happening. Water in Australia does not satisfy any of those tests,” he said. A national market would allow farmers to sell rural water with a low value to cities where it would have a much higher value. The National Party has forcefully resisted the idea, arguing that it would allow farmers to be taken advantage of. A freedom of information request by the Seven Network has revealed that only 22 documents were used in the creation of the $10 billion water initiative. It said this was fewer than were used to create a typical home loan. Among the tiles of the documents listed on the Seven website last night are none that indicate that the Treasury or the Department of Finance was consulted during the creation of the $10 billion program. The network was denied access to the text of the documents on the grounds that it could damage Commonwealth-state relations, disclose deliberative processes, and breach legal privilege. At the Press Club the Shadow Treasurer said that the Howard government had achieved some good things and that yesterday’s news of a new high in consumer confidence was welcome. But he said it had failed to develop a plan for transforming Australia’s gains from the mining boom into the productivity gains needed to guarantee prosperity into the future. “Sadly, almost all of the relative productivity gains of the 1990s have been eroded. A government cannot stand for future prosperity when it has halved the potential wealth creation of the Australian people,” he said. Mr Swan said he expected to be the treasurer in a Rudd Labor government for 10 years, following in the tradition of Australia’s longest-serving Treasurer Peter Costello who has delivered 12 budgets. But he said that he, like evry other Shadow Minister had received no guarantee that he would retain his portfolio when Labor took office. “There is no guarantee and nor should there be” he said. Wednesday May 16: The day the prospect of a rate rise in 2007 was killed stone dead. Dramatically lower than expected wage growth figures have killed the last remaining chance of an interest rate rise this year. In February the Reserve Bank sparked a frenzy of interest rate speculation when it warned that the quarterly wage price index calculated by the Bureau of Statistics was increasing at about the fastest rate in its ten-year history. The eagerly awaited figure for the March quarter, released yesterday, has allayed its concerns. Although the index grew at an apparently robust rate of 1.0 per cent over the quarter and 4.1 per cent over the year the Bank believes that it overstates the real rate of wage growth because it includes the payment of the Fair Pay Commission’s minimum wage rises awarded last year. Public sector wage growth eased to 0.8% in the March quarter, down from 1.3%. In contrast, private sector wage growth increased slightly to 1.1% from 1.0%. Because the private sector has a greater proportion of employees on minimum wages its result would have been more heavily influenced by the timing of the minimum wage decision. Western Australia saw the highest annual wage growth at 4.8 per cent. NSW and Victoria each recorded the lowest annual wage growth of 3.6 per cent. In the ACT wages climbed 4.1 per cent. Economists described the restraint as “phenomenal” given Australia’s 32-year low in unemployment and widespread talk of skills shortages. Among the explanations offered were the role of immigration and temporary worker visas in restraining wages, and the role of Australian Workplace Agreements in preventing workers accessing award wage rises. But apparently confounding the explanation that AWA’s played a role in retraining wage rises was the news that wages grew strongly in two of the industry categories in which AWAs were the most common – retail and accommodation, cafes and restaurants. The Employment Minister Joe Hockey said that the Labor party and the union movement had spent the last year predicting that wages in the retail and hospitality industries would fall. “Today’s data proves their claims are nothing more than base scare mongering”. The wages data was accompanied by news that the Westpac/Melbourne Institute index of consumer sentiment had climbed to an all-time high of 123.9, up from a seasonally adjusted 115.3 in April. An index of 100 indicates that on balance consumers are neither confident nor concerned about the future. The index has been compiled since 1975. The telephone survey was conducted at the end of a week which saw new budget tax cuts in the Federal budget, record high share prices, and news of yet another record high in employment. And how! He doesn't say so in the article itself, but he has written a repudidiation of everything he has written about fiscal policy in the past. The days of fiscal policy (the budget) being used for macro management are long gone and we'd better get used to it. I am completely unconvinced, and much more persuaded by the Macquarie Bank's Rory Robertson who in an email to clients has rubbished the idea that the government should give up on fiscal policy. Who was it last year who invented the catchy story - again doing the rounds today - that tax cuts and increased public spending are not expansionary in an economy that is being hit by an extraordinary terms-of-trade surge, as long as the Budget surplus is projected to remain steady near 1% of GDP? The size of no-policy-change surpluses is irrelevant, somehow the story goes. Going the other way, we should believe that tax hikes would not be contractionary if commodity prices slump big-time down the track, as long as they are large enough to keep the Budget surplus steady near (that now-magical) 1% of GDP? I don't think so. I would make fiscal policy really work - give it to an independent authority such as the Reserve Bank who would adjust one tax rate (say, the GST or the Medicare levy) monthly as needed. Nicholas Gruen is among those who have made this suggestion (and in his case got the Business Council to propose it!). Internal Treasury modeling suggests that an extra 90,000 new jobs will be created as a result of the tax cuts in the last two budgets. The head of the Treasury, Dr Ken Henry revealed the figure after a post-budget address to business economists in Sydney yesterday in which he described Australia's success in having achieved something close to full employment as a “staggering”. He said from now on it would become difficult to expand employment as the proportion of Australians who are of working age shrank. But he said Treasury modeling using the Melbourne Institute Tax and Transfer Simulator showed that all but one of the tax cuts announced in the last two budgets would increase people's willingness to offer themselves for work, boosting the labour supply. The one that would not was last week's increase in the dependent spouse rebate, which he said would work in the opposite direction. Together the tax cuts were likely to boost the size of Australia's workforce by around 1 per cent, or 90,000 workers. In an address to Treasury staff leaked to the press last month Dr Henry warned his officers that in the current political environment there was a greater than usual risk that they would be presented with policy proposals that were “frankly, bad”. Asked yesterday whether he retained that concern and was still issuing warnings to his staff he replied: “I think you can probably figure out the answer to the second part of the question,” adding that he did not feel comfortable talking publicly about the content of leaked speech. But Dr Henry did return to one of the most contentious parts of that speech. In the leaked speech he said he wished the department had been listened to more attentively when the government drew up its government drew up its water policy. “There is no doubt that policy outcomes would have been far superior had our views been more influential. That is not just my view; I know that it is increasingly widely shared around this town,” he said, adding that he was sure the issue of water would come back to the Treasury at some stage for some quality input, “it will have to”. At the time his criticism was dismissed by ministers including the Prime Minister and his own minister the Treasurer Peter Costello on the grounds that the Treasury did “not know about water”. Dr Henry told yesterday's meeting of business economists that just about the the most important reform needed in Australia was the development of a national market in most, if not all, of Australia's business inputs. “It is probably not too much of an exaggeration to say that the only inputs that are at present characterised by truly national markets are finance, post, telecommunications and maybe aviation. Adding that if all that sounded abstract and theoretical, the Treasury Secretary said: “to bring it right home, think of water”. “Water in Australia does not satisfy any of those tests”. “I don't think that what the microeconomic textbooks have been saying has changed that much over the last 30 years. It is fundamentally a story about allowing markets to operate,” he said. We are told that the tax cuts in the budget were directed to low to middle income earners. While as a proportion of the tax they pay this is true; in terms of absolute dollars it is total nonsense. If you are on an annual income of $200,000 by mid-2008 the budget will hasve handed you back $2,750 – enough to buy 2 to 3 cups of coffee every day of the year. If you are only on $20,000 the budget will hand you $150 – just enough to buy a cup of coffee once a week. But it is true that low-income earners have been better looked after than in the past, and it may be true that small amounts of money matter more to them. Does this sound patronising, even ridiculous? A poor person will feel excited about finding a one-dollar coin on the street. A rich one might not bother to pick one up. Last year Philippe Tobler and a group of psychologists from Cambridge University attempted to measure the extent to which small amounts of money really do matter more to poor people than to rich ones (economists call this “diminishing marginal utility”). They assembled 14 students, some rich, some poor and showed them a jar full of 20-pence coins. They told them that they could keep any coins they won and flashed a series of images on a screen. Some of the abstract shapes were always followed by a picture of a coin, others were not. Every correct guess that a coin would come earned them one. The poorest of students turned out to be much faster learners than the richest. Tobler says the poorest students figured out the game after 12 turns. The richest took 35. The richer students weren’t dumber or older – they seem to have been just less concerned about coins. Then Tobler and colleagues attached the students to brain scanners and flashed the images in front of them again. This time the students just had to look. Their brains of poor students reacted much more to the thought they were about to see a coin than did the brains of rich students. So have a bit of sympathy for rich Australians next budget night. They need to be given more money than do the rest of us just to even notice. Saturday Forum: What if Paul Keating is right? There is a truth about the budget that no politician from either side dares speak. It is that Paul Keating might be right. Productivity is the engine that drives our future prosperity. The Treasurer’s budget papers reveal that it has stopped growing. But you won’t hear that admission from the mouth of the Treasurer himself. A day later after Kevin Rudd had taken up the issue, the Treasurer was asked whether the Labor leader was correct – did the budget papers show that Australia’s rate of productivity growth would fall to zero? He replied: “No, again you see, Mr Rudd hasn’t done his homework. It is a nonsense to say that productivity will fall to zero”. When asked why it was nonsense, he replied: “Well, you can look all the way through the Budget papers and you won’t find any figure like that”. The Treasurer is wrong. He will find the figure on page 4-30 of Budget Paper No. 1. On that page there is a graph of productivity, defined by his Treasury as real GDP produced per hour worked. It shows it absolutely flat in the current financial year. This is both a projection (there are still a few months of the current financial year to go) and a statement of reality as already reported by the Australian Bureau of Statistics. The ABS figures are set out in an accompanying graph on this page. They show that Australia’s quarterly trend growth in productivity went negative in the June quarter of 2006. It is the kind of dramatic reversal of economic fortune that you might expect Australia’s Treasurer to be addressing head-on. All the more so because on the (admittedly erratic) Bureau of Statistics quarterly figures, Australia’s productivity growth went negative in the June quarter, immediately after the introduction of WorkChoices. Percentage increase in GDP per hour worked, March quarter 2005 to December quarter 2006. Because quarterly movements can be erratic, economists such as Saul Eslake at the ANZ update a four-year moving average of the annual productivity growth each quarter. The ANZ’s graph, also on this page, shows Australia’s productivity growth soaring throughout the 1990’s and then collapsing from the turn of the century. You would think that this would alarm a Treasurer concerned about the link between work practices and productivity. His Prime Minister promised in the lead-up to WorkChoices that it would “unleash a new burst of productivity growth”. It hasn’t. If WorkChoices has done anything it has sent productivity sharply backwards. The former politician who no-one from either side of politics these days seems to want to quote with approval has a perfectly plausible explanation as to why this should be the case. WorkChoices was not, as is widely believed, introduced primarily to move workers off inflexible centralised awards. Workers were already moving off awards onto newly-created enterprise agreements at a fast rate. 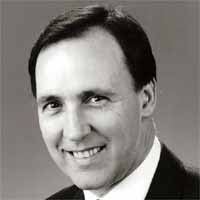 Paul Keating legislated for enterprise agreements at the start of the 1990’s with the explicit aim of building productivity. Instead of having a distant umpire set the same wage rate for all, say, engineers of a certain standard, wherever they worked, the wages of the engineers in each enterprise would be negotiated separately within the enterprise every few years at the same time as the wages for their colleagues doing other jobs. This meant that in order to get a wage rise the workers in each enterprise needed to co-operate with each other and with the management in order to work out how they could make the enterprise more profitable. Sometimes it meant breaking down demarcation lines. In the case of Adelaide’s car industry it was as simple as agreeing to run two shifts each day. Previously cars had only been made in one shift each day during traditional working hours, leaving expensive equipment lying idle. Every three years or so when a new agreement was negotiated the workers and the management had to co-operate again to come up with further productivity gains. The ANZ’s graph illustrates how productivity soared during the 1990’s. Economists would call what happened: “increasing the size of the cake”. The extra slices were split between workers, through higher wages, and the company’s owners through higher profits. By contrast Australian Workplace Agreements, introduced after the Howard government took office in 1996 and accelerated with the introduction of WorkChoices last year, are more about dividing the cake up. As essentially secret one-on-one negotiations, with management on one side and each individual worker on the other, AWAs are less likely to engender co-operation among workers to bring about enterprise wide improvements in productivity. The architect of the enterprise bargaining system, the former Labor Prime Minister Paul Keating explained the difference this way to the ABC radio’s Eleanor Hall one week before the budget. “On this floor at the ABC here, there must be 150 people. If you went out there and said to them, look we're going to make an agreement for the next three years or four with the ABC and we want 3 per cent productivity a year out of it, or 2 per cent productivity, together you could all do something. The graphs shown on this page are potent with the suggestion that the former Prime Minister is correct - that the system of enterprise bargaining introduced in the 1990’s made Australia’s workplace productivity soar and that the system of individual bargaining introduced to eclipse it is winding those gains back. Paul Keating has some support. Peter Costello’s Treasury agrees that that by encouraging a more co-operative workplace enterprise bargaining boosted productivity. The Treasury says the Coalition’s changes to the industrial relations system are to be applauded to the extent that they reduce the importance of awards. Perhaps significantly it does not say that they should be applauded to the extent that they reduce the importance of enterprise agreements. Labor’s industrial relations policy is about restoring the primacy of Keating-style enterprise agreements. It is not, as Government ministers frequently claim, about a return to the centralised system of wage fixing that existed before them. The government’s own figures suggest that Keating-style enterprise agreements paid Australia huge productivity dividends. They suggest that moving away from them has set our productivity performance back. And yet, Labor’s leader Kevin Rudd and its deputy leader and industrial relations spokesman Julia Gillard have been reluctant to make that case. They have been reluctant to mount the very plausible argument that Keating-style agreements enhance productivity growth whereas Howard-style agreements hold it back. It is an argument waiting to be made, by someone other than Keating himself. But to make it would involve invoking the former Prime Minister’s name and associating themselves with him. So instead they, like the Treasurer and the Prime Minister, this week scarcely mentioned the link between wage-setting and productivity. Only one shadow minister is speaking out consistently about productivity. 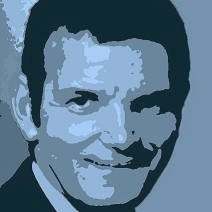 Craig Emerson, who has a PhD in economics and has responsibility for the service economy, small business and independent contractors has written a manifesto on the topic. In it he quotes the words of the venerable US economist Paul Krugman who says that “productivity isn’t everything, but in the long run it is almost everything”. In Krugman’s words: “A country’s ability to improve its standard of living over time depends almost entirely on its ability to raise its output per worker”. Budget forecasts already looking obsolete. Within days of the 2006-07 budget, its forecasts are looking obsolete. On Tuesday night the Treasurer Peter Costello brought down a budget based on the assumption that employment growth would slow and unemployment would rise. Instead the figures for April released yesterday show employment growth accelerating and unemployment falling to yet another new generational low. The budget was predicated on employment growth slowing from an expected annual growth rate of 2.5 per cent this financial year to 1.5 per cent next year. Instead, an extra 50,000 Australians found work last month, many times more than expected, a rate of growth which if continued all year would exceed 5 per cent. The budget was based on an average unemployment rate of 4.75 per cent this financial year climbing to 5.25 per cent by the end of next financial year. Instead, in April the unemployment rate fell to a new generational low of 4.3 per cent, the lowest rate since November 1974. To meet the budget forecast now the unemployment rate would need to climb well above 5 per cent this month or the next. The dollar rose and the interest rates predicted by the futures market climbed on the news suggesting that financial markets now believe that the economy is stronger than predicted in the budget just three days ago. The good news for the government is that it can credibly claim to be running an economy in which employment growth is accelerating, against its own expectations, and that it will be raising extra tax revenue with which to fund election promises. The bad news is that the economic stimulus provided by the budget now carries with it a greater than expected element of danger. Although inflation was subdued in the last quarter and looks set to be subdued in the next private sector economists were yesterday revising up their inflation forecasts for later in the year and many were predicting another hike in interest rates by the end of this year or early next year, within months of the election. The employment figures follow retail trade figures, released on Tuesday just before the budget that seem to show spending growing faster than the budget expected. Retail spending accelerated in the March quarter. The budget forecasts assume the rate of household consumption growth will remain steady. The April employment numbers also imply a continuation of flat or negative productivity growth. Yet the budget papers predict that productivity will soon begin to grow. The Treasurer was asked twice at a press conference yesterday whether he was concerned about Australia’s flatlining productivity. He said he was not. Only NSW and South Australia now have unemployment rates above 5 per cent. Australia unemployment rate fell further in Queensland and Victoria, climbed in Tasmania and remained steady in Western Australia where the rate remains Australia’s lowest – 2.7 per cent. In the ACT the previously low unemployment rate has been climbing since the start of the year. The ACT’s unemployment rate has is now 3.8 per cent, up from a low of 2.5 in October. The ACT has lost 2,000 jobs since December. Suddenly, I am in favour of tax cuts.